Texron Operating, LLC (TEXOP) is a licensed independent Oil & Natural Gas Exploration and Production Company. TEXOP has offices in Bulverde and Corpus Christi Texas. TEXOP currently operates and produces oil and natural gas wells in Brooks, Nueces, Bee, Zavala, Newton and Karnes Counties. 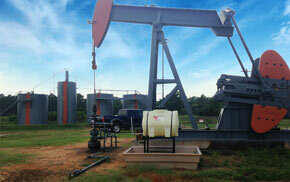 TEXOP objectives are to acquire, drill, develop and operate oil and natural gas properties. Texron operating is constantly working to determine and locate untapped oil and natural gas resources throughout the state of Texas. 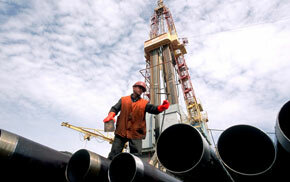 If you need help with drilling and exploration services contact us. Texron currently has production in several Texas counties. Texron production services include new well, work-overs, re-entries, hydraulic fracturing, operating and production services. Contact us. 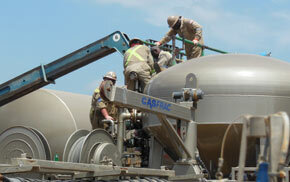 Texron Operating currently operates well in Brook, Zavala, Bee, Nueces, Newton and Karnes counties in Texas. For a complete listing of our current operations by county please click here. SUBSCRIBER CONTENT: Jun 3, 2016, Crews prepare for fracturing at Texron’s Perez #1 "Home Run Field" in Brooks County. "Local energy company shows a profit despite low oil prices". San Antonio Business Journal August 14, 2015, By: Sergio Chapa.